It's been a while since I volunteered for an event and had no creative control over it. I'm used to creative control in ministry. That's why this weekend was an eye opener for me. 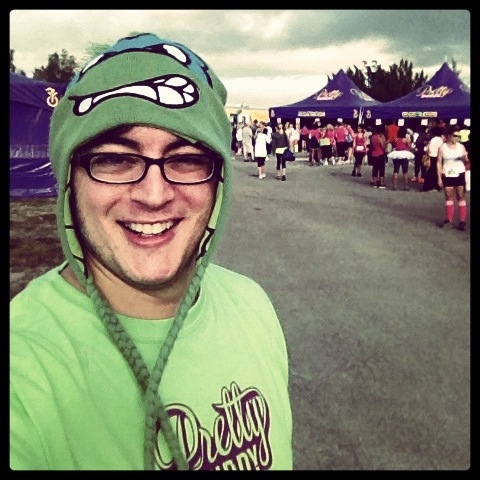 I volunteered to help staff a race last Saturday called Pretty Muddy. I had no idea what to expect or what I would be doing. I was completely at the mercy of the organizers. My first job was to welcome guests & make sure they got answers to their questions. My second job was to hand out free t-shirts at the registration table. Handing out shirts was the worst. I was getting yelled at left & right. "Size large! Size XL! Size small!" And I had to shag down the right size for the right person. There was no room for creativity. No room for innovation. Oh, my mind wandered towards innovation. I wanted to make the process more efficient. But my rank (grunt) did not permit me to act on my brilliance. This weekend taught me a valuable lesson about humility. It reminded me of my roots & the things I have come to take for granted. There is value in simply doing as you are told & letting others plan the event. Remember that whatever you so, it is for The Lord & focus on that fact.